If your dog's leg appears to be paralyzed, you may be wondering what is going on. While it's not bad practice per se to search the Internet to learn more, things considerably deteriorate when Google is used as a substitute for an actual veterinary diagnosis and treatment. This article is not meant to replace a veterinarian's advice, therefore, it's not meant to provide a diagnosis or treatment plan. 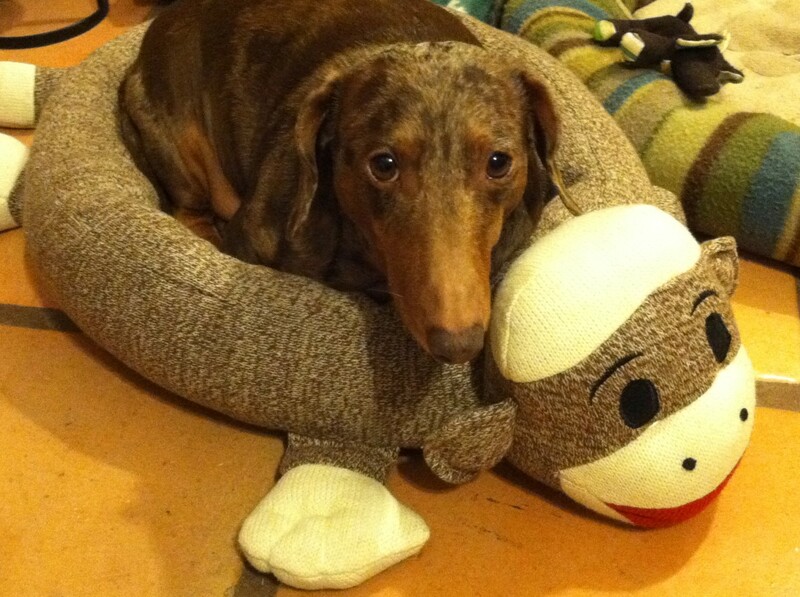 If your dog has a front leg that appears paralyzed you should see the vet. Things can go quickly downhill if treatment is delayed. When limping, a dog feels pain, and will bear little weight on the leg to to minimize pain. In paralysis, the dog's reflexes, sensation and ability to move are affected, and the paw is often found "knuckled," and thus, is dragged around-- as seen in video below. In order to better understand why your pet's front leg may appear paralyzed, it's a good idea to first take a look at the leg anatomy and understand how it becomes paralyzed in the first place. The dog's nervous system is composed of the brain, the spinal column which contains the spinal cord, and several nerves that branch off the spinal cord and reach several regions of the body. The main purpose of the nerves is to carry information to the muscles and organs. It's thanks to the coordinated effort of all these parts that they are able to move around, have reflexes, and feel sensations. Paralysis occurs when there's a disruption in the communication between the brain and the spinal cord, along with its ramifications. The front legs are innervated by several nerves as outlined below. The brachial plexus consists of a collection of cervical (neck) and thoracic (thorax) nerves that start from the spinal cord and then split into individual ramifications made of several individual nerves running through the front legs. These individual ramifications consist of the radial nerve, median nerve and ulnar nerve. 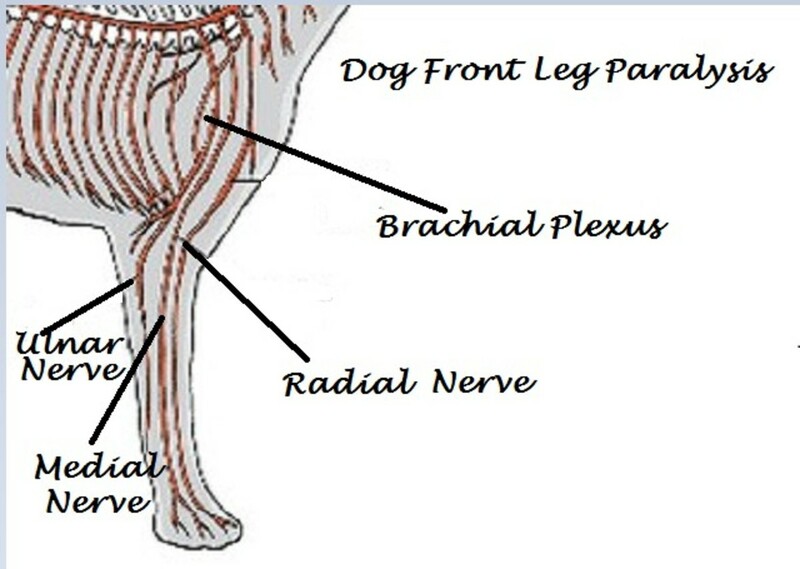 The radial nerve originates from the brachial plexus and innervates the upper front leg all the way down to the paw. It's called this because it runs right by the radius bones. This nerve is quite vulnerable to injury. The median nerve also originates from the brachial plexus. It's known as median because it's located right in the middle between the radial nerve and the ulnar nerve. The ulnar nerve is called this because it runs right by the ulna bone. The fusion pets zupport is a therapeutic harness ergonomically designed to provide your pet with the best comfort fit, easy to put on and allows the pet owner to best assist the pet with front or hind paralysis. When all goes well and the nerves are intact and fully functioning, the dog can flex his elbow and wrist and move his toes with no problems. He is also capable of feeling sensation in his leg, the surface of the paw, and normal reflexes are present. When things go awry though, you start seeing problems. The following are some causes of front leg paralysis in dogs. This is the most common cause. When a dog sustains a direct blow to the shoulder or his front leg is pulled away from his body, something that can happen when hit by a car, the nerve tissue in the brachial plexus may detach from the spinal cord, causing what is known as brachial plexus avulsion. 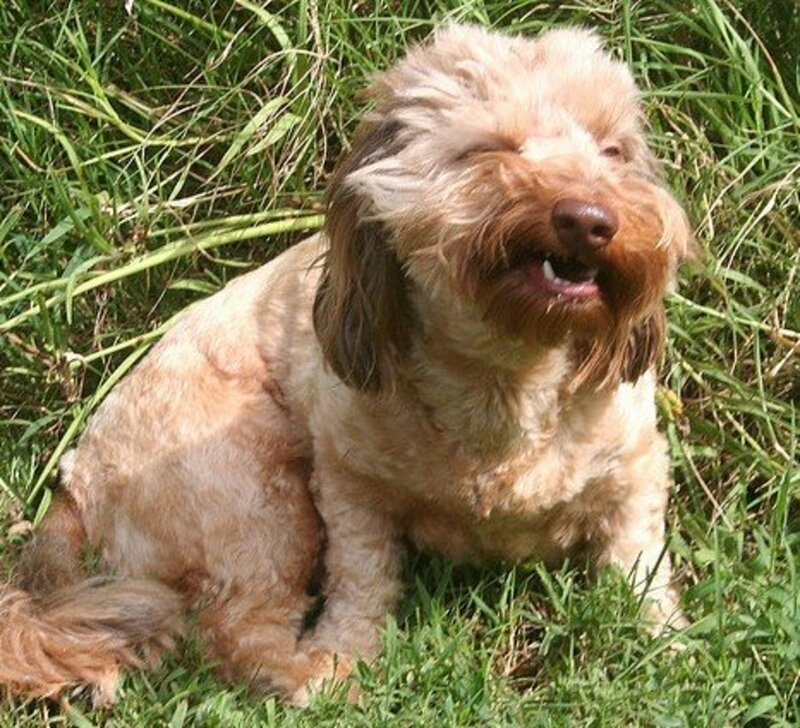 Affected dogs suffer from an inability to bear weight, severe weakness, and loss of sensation below the elbow, which causes them to flex their wrist and drag their toes against the floor, something vets often refer to as "knuckling over." 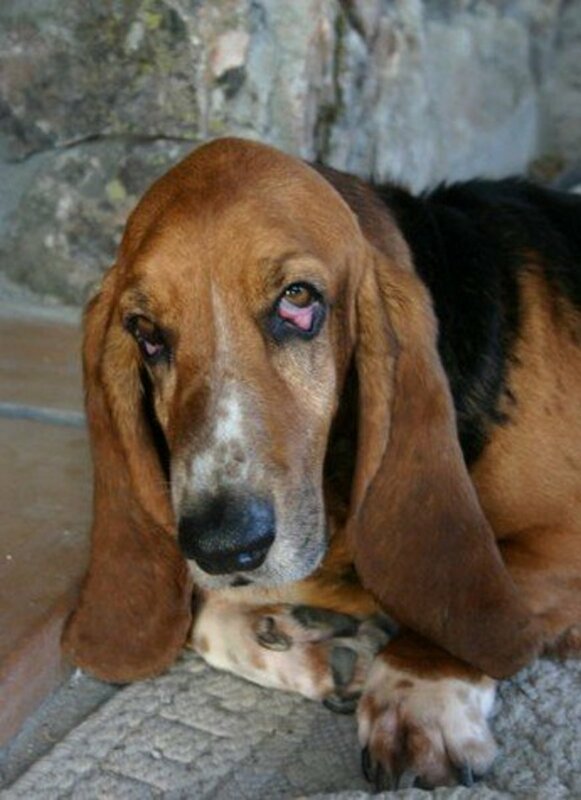 Because these brachial plexus nerves also supply the eyes, affected dogs may show signs of Horner's Syndrome, eye abnormalities including sunken eyes, droopy eyelids and smaller pupils. Treatment consists of preventing further injury to the leg by using bandages and protective boots. Physical therapy may be needed to prevent the muscles from atrophying. 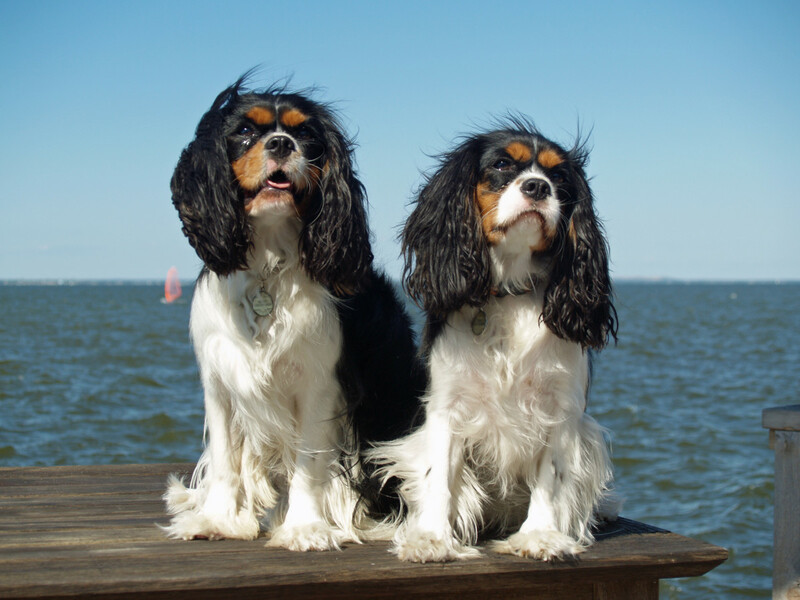 According to Pet Place veterinarian Erika de Papp, recovery is very unlikely when neurological function fails to return within 4 to 6 weeks. However, sometimes nerve functionality defeats the worst prognosis. Sometimes, the paralysis is triggered by the presence of a mass as seen in a nerve sheath tumor or a tumor affecting neighboring tissue such as brachial plexus lymphosarcoma. In this case, the paralysis is chronic and gets gradually worse over time. Sometimes the symptoms may be confused with musculoskeletal disease. In nerve sheat tumors, pain can be elicited by palpating the armpit area or moving the leg. Large masses can be felt and the muscles may start to atrophy in the affected area. Several diagnostic tests may be needed to confirm or rule out tumors. 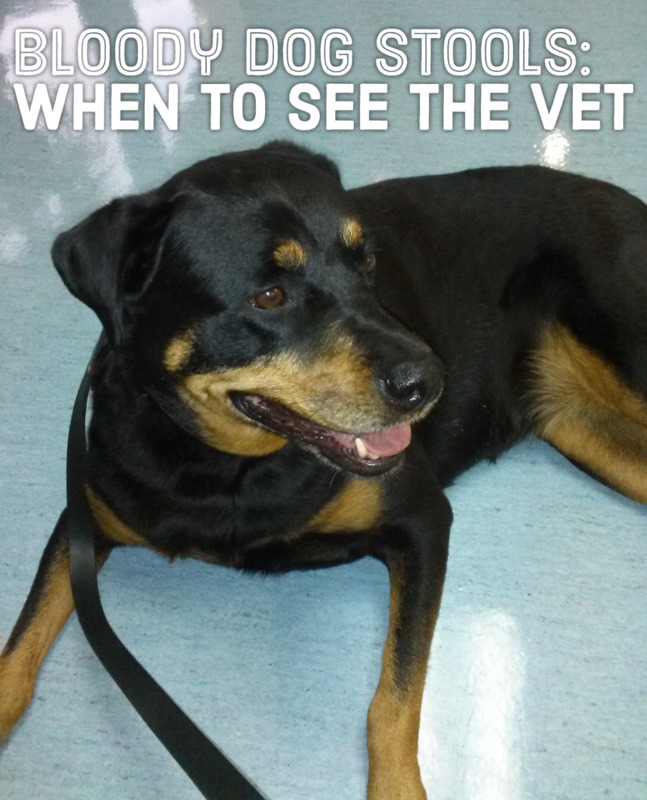 A vet may decide to have the dog undergo a myelogram, CT, scan or MRI. Prognosis varies based on the findings. There's a saying in the veterinary field "when you hear hooves, think horses not zebras." In other words, vets first test for the most common causes rather than the rarer ones. A process of elimination, brings them to consider the less common disorders. There are a few other conditions that can cause front leg paralysis, but several are quite uncommon. 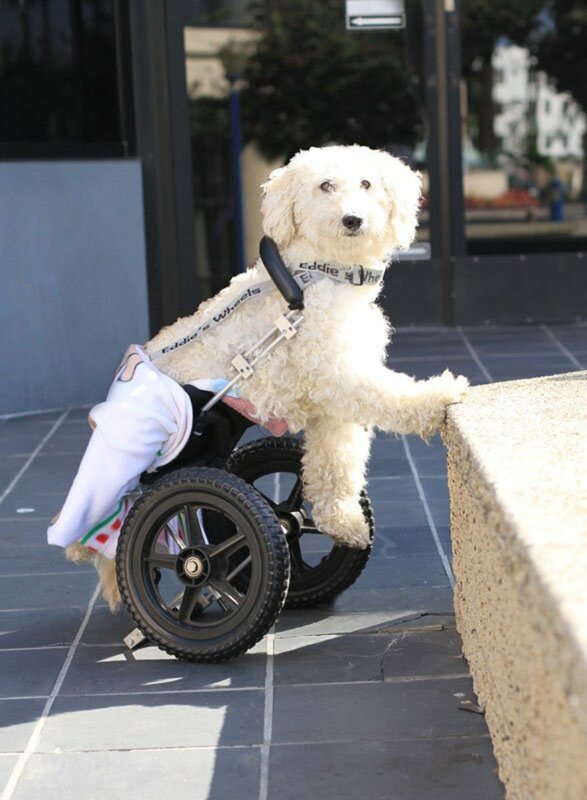 It appears that the majority of conditions causing paralysis affect the rear legs the most. A condition known as coonhound paralysis may occasionally cause dogs to show front leg paralysis as a first symptom, according to the Merck Veterinary Manual. It may start from a raccoon bite or scratch, but has also been seen after vaccinations. Tick paralysis may be another cause, but according to Pet Education, it typically affects the rear legs first and then later can spread to the front legs. Soon, if no steps are taken to remove the ticks, respiratory failure may develop, and death. If your dog presents symptoms of front-leg paralysis, the vet will run some tests to determine nerve function. He may pinch the toes with hemostatic forceps and look for a pain response such as vocalizations and withdrawing the leg. The presence of pain is a good thing as it's indicative of the nerve fibers still being intact. Lack of pain most likely suggests a nerve that has been severed. A wheelbarrow test may be conducted. In this test, the hind legs are slightly elevated so the dog is forced to walk on his front legs in a wheel-barrow fashion. Another common test is changing paw position, by placing a knuckled paw against the floor and observing if the dog adjusts the position. Normally, dogs respond by quickly adjusting paw position. Further evaluation to find the underlying cause can be provided by having an MRI that will look for signs of tumors, inflammation and nerve damage. CT scans are also performed. Consulting with a veterinary neurologist can be helpful. There are several levels of nerve damage that play a big role on the chances for recovery. As mentioned, prompt treatment is very important when dealing with front leg paralysis. When the dog has lost sensation in the limb, the leg is prone to injury as the paw is often brutally dragged around. Dog boots and bandaging may be helpful. Muscles that have lost nerve connections, tend to atrophy as early as five days post injury. Physical therapy is helpful to increase blood flow to the area. Ask your vet for advice. When nerve function starts to be regained, the dog feels tingling sensations that may be bothersome. This is called paraesthesia. In some cases, this can get so severe, the dog feels compelled to chew on his leg. At times, amputation may be necessary. As seen, the prognosis varies based on the extent of nerve damage. While the vet can give rough ideas when it comes to the outcome and prognosis of nerve injure, it's also true that sometimes the nervous system acts in ways that cannot be predicted. You can read a wonderful and inspiring success story of a dog healing and beating all odds from East Lincoln Animal Hospital. Disclaimer: this article is not to be used as a substitute for professional advice. If your dog appears to have weakness or paralysis, seek your vet's help at once. My dog 1st got weakness in hind legs, but more so in left hind leg, then after 2 days hind legs got better, and he started to raise his front left leg when he walks or does potty. He will raise front left leg about 1/2 inch ot an inch above ground. I have a leonburger shepard hes about 8yr. This leg problem is been going on about a yr now. We have taken him to the vet, they done xrays cud not find anything wrong, but still put him on tramadol an gabapitin. I see no changes maybe a little worse cause he will cry out now tryin to get comfortable but he cant. Will somebody please help me try n fix my dog. Thanks for the information on the leg paralysis. 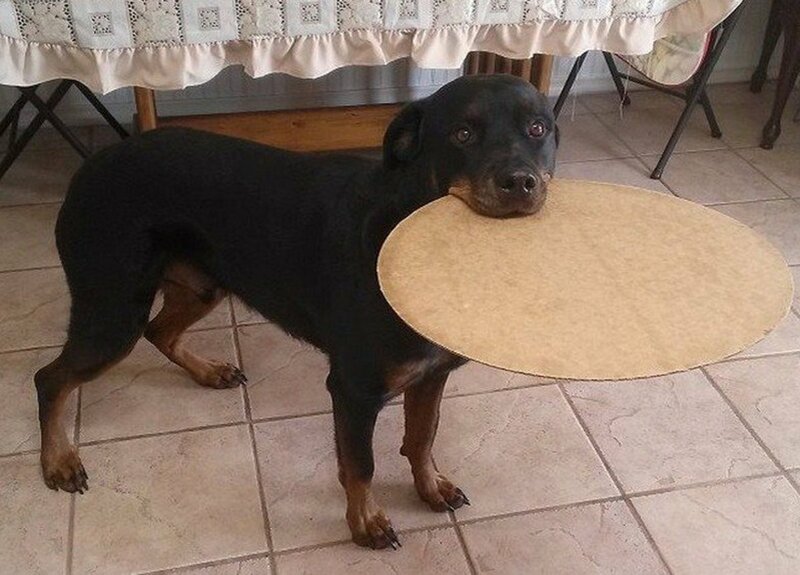 I have never had that problem with my dogs. 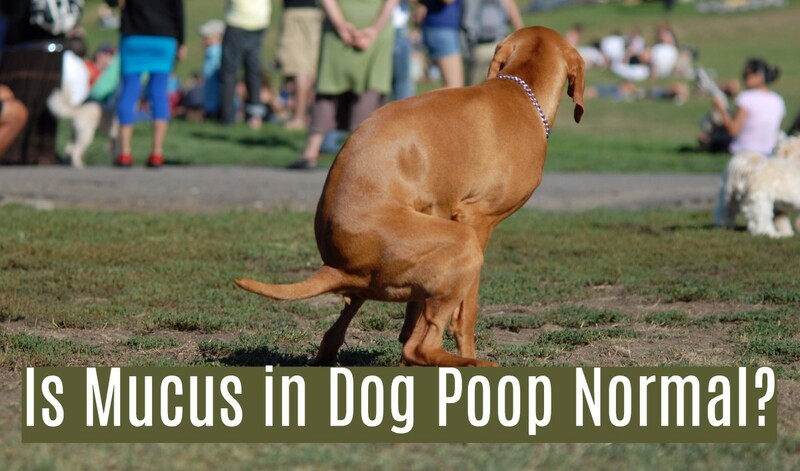 Its always good to know of the different signs and symptoms that may occur in our dog if they are sick or if there is a far worse problem at hand. thanks for the informative hub. Fortunately none of our dogs has ever suffered from front leg paralysis but will be happy to pass this along to others to raise awareness in case it is needed.